Walking as an exercise might sound like a relaxed workout. But it offers a lot of benefits and gives you excellent results over time. In fact, it’s the secret to good health in the long run. However, the one thing that can make or break your walking experience – whether it’s your daily 5-mile walk or a day at Universal Studios – is your pair of walking shoes. Does investing in good walking shoes mean you’ll need to compromise on its looks? Not really. Do your research, and you will find them all around you. Understand what goes into making a good pair of walking shoes and ask the salesperson for help – a good one should know the nuances of it all. 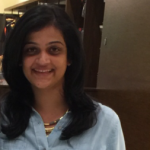 Invest a little time in doing your research and money while buying it. We’ve rounded off the best walking shoes for women. Check them out! 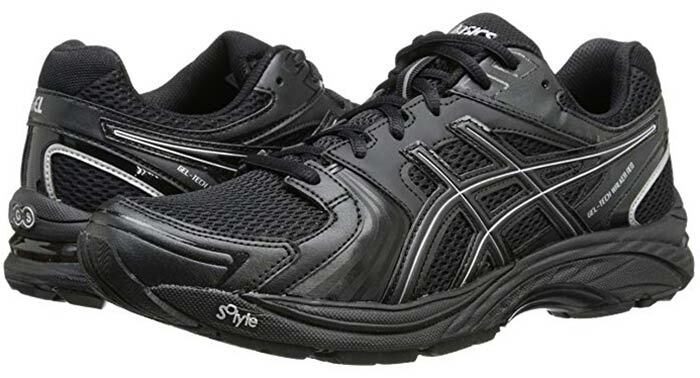 ASICS is known for making athletic footwear for basketball players. They are invested in their craft and understand what they do. The gel-tech walker NEO 4 is an upgrade in this segment, continuing to provide excellent upper fit, breathable mesh on the exterior, and the much talked about medial window. The new addition to these shoes is the ortholite sock liner, which adds to the interior comfort and gives antimicrobial protection. These shoes are designed using accurate sole geometry and DuoMax and Trusstic technologies that support your feet by adding stability to your every step. The rear and front foot gel cushioning and gender-specific mid-sole systems give your feet the cushioned platforms they deserve. ECCO is known for making lightweight and breathable shoes, but the Biom collection is their latest addition to path-breaking technology. ‘BIOM’ refers to the Biomechanical Optimization of the feet, which improves your natural movement by following the shape of your feet, flexing their grooves, and holding them like a glove. The Fjuel Train Oxford shoes are made with soft yak leather with breathable upper perforations for air circulation and a Strobel patch beneath the insole for improved comfort. This is everything your feet need for making your walk a breeze. Brook’s Women’s Addiction Walker Shoes is for all of us who cannot do without walking and need the perfect pair of shoes for it. The look and feel of these shoes are perfect for daily use. They are durable, slip-resistant, comfortable to maintain, have a supple exterior, and give you the cushioning your feet need. With these shoes on, you have more control on your feet, which is what makes your walking experience hassle-free. If walking is your thing, you know what you need. 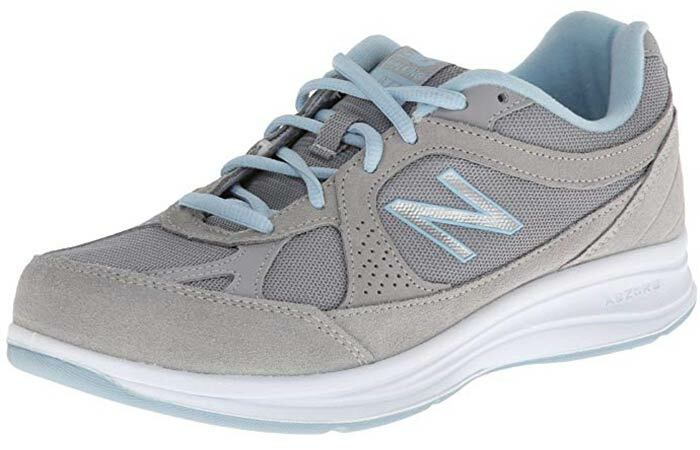 The New Balance Women’s WW887 Walking Shoes are perfect for everyday use. The overall comfort provided by its cushion is great. It offers both wide and narrow fit and prevents any fatigue even after extended hours of usage. At an affordable price point, these are perfect your feet and your pocket. 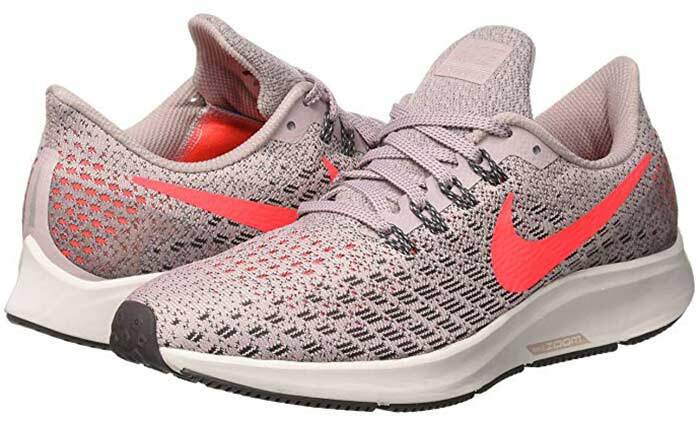 Nike Women’s Air Zoom Pegasus is made for the walking enthusiast in you. Its sole is slightly elevated to distribute the pressure on your heels. 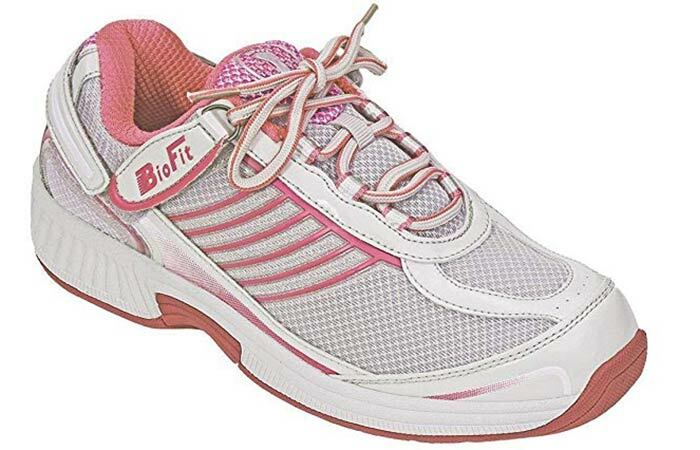 It offers excellent cushioning and support for your feet while being lightweight. These will become your favorite shoes once you start using them and there’s no going back. 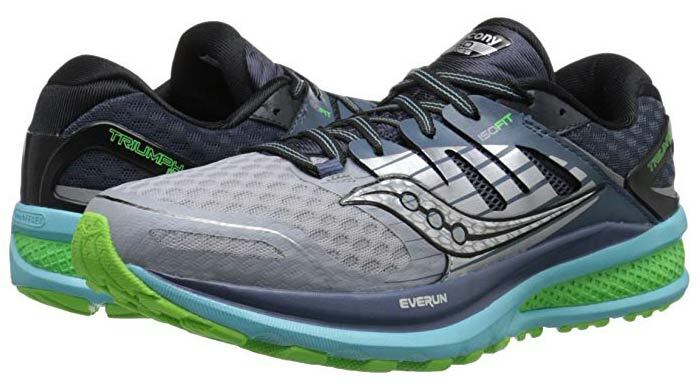 Saucony Women’s Triumph ISO2 is explicitly made for walking. With high-quality cushioning and patented Eversole technology for the sole construction, the feel and performance of these is outstanding. They understand the biomechanics of the feet, so you can rest assured that they will enhance your walking experience and reduce fatigue. 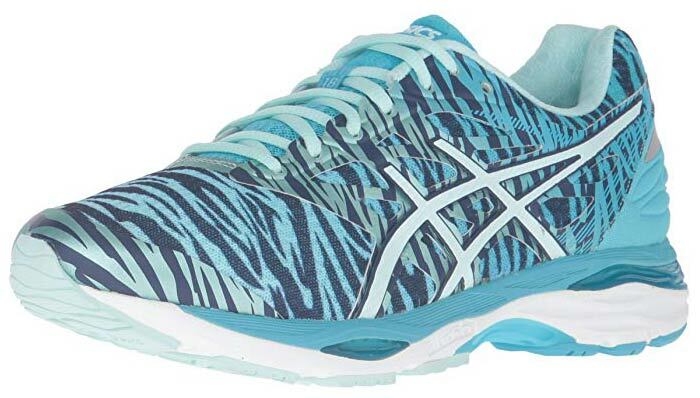 Another bestseller from ASICS is the Gel-Cumulus Shoe from the Cumulus series. 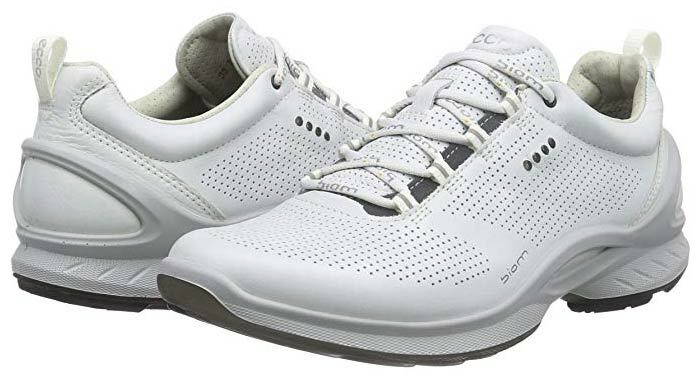 It is built using Mpact Guidance System, Rearfoot and Frontfoot Gel Cushioning, Guidance Trusstic, and Guidance Line technologies, which regulate your movement and reduce the impact on any one part of your feet. It is suitable for both running and walking, making it perfect for transitioning your workout any time you want. People who have overpronation issues need to be twice as careful while buying walking/running shoes because the pain from flat feet can be harrowing. You need shoes that provide stability, cushioning, and motion control to reduce the overall pressure on your feet. 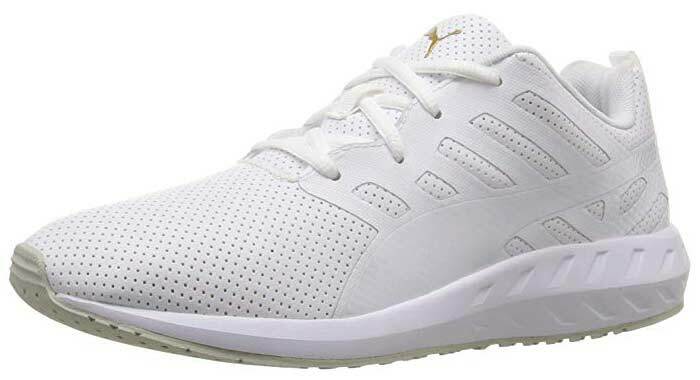 The insole boards in these shoes improve flexibility, and the upper mesh is airy and breathable. It controls the torsional rigidity in the mid-foot and lets the forefoot function independently without putting too much pressure on it. This is everything you need in one shoe. Looking for shoes that make traveling easy? PUMA Flare Leather Walking shoes are functional and chic, bringing you the best of both worlds. Their mid sole is elevated while the foam holds up the heel. The chevron detailing adds to the aesthetic of these shoes. Orthofeet Verve Women’s Athletic shoes give the arches of your feet the support they need. The non-binding fit is relaxed and protects your feet from triggering pressure points. The orthotic insole is ergonomically compliant to soften your steps, improve stability, and keep up with the natural motion of your feet. People suffering from arthritis, pronation, and plantar fasciitis need shoes like these that are not just comfortable but therapeutic too. 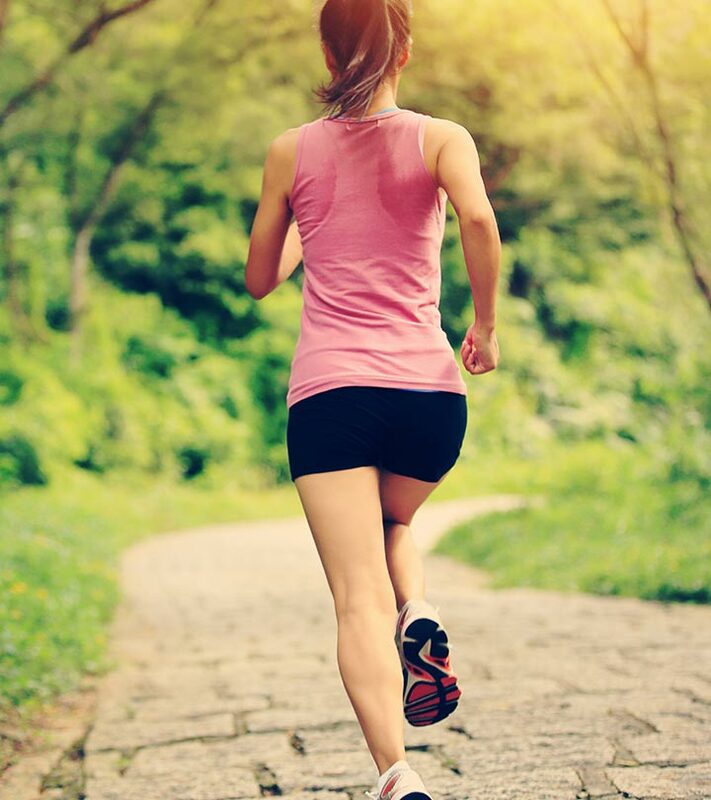 A common mistake that people make is using running shoes for walking and vice-versa. There are some basic differences between these two types of shoes that you need to be aware of to protect your feet from injury. Keep reading to find out. 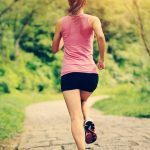 What Is The Difference Between Walking Shoes And Running Shoes? Walking shoes need less cushioning than running shoes. 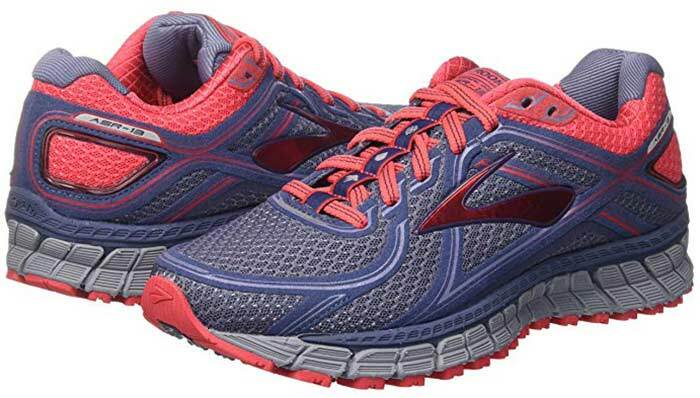 You need shoes that are light and don’t add additional weight when you go for a brisk walk. Running shoes usually have thicker soles than walking shoes. Choose shoes that offer good heels support because, unlike runners, walkers land on their heels. If you have flat feet problems, you need shoes that help with overpronation because walking puts pressure on your heels, and this can aggravate the problem. The easiest way to find out if a shoe is right for walking is to make sure that the shape of the shoe matches the shape of your feet. Try your walking shoes while wearing socks to make a fair judgment call. It’s important to keep these things in mind if you don’t want to damage your feet and want to walk on a regular basis. Investing in the right pair of walking shoes goes a long way. Do you have anything to add to what we’ve said? Your favorite brand, maybe? Let us know by dropping in a text in the comments section below.